BUILT-IN EMBEDDED MOBILE DEVICE MANAGEMENT FOR ASCTRAC® WMS. ASC announces another new innovation – an embedded tool set inside their best-of-breed Warehouse Management System (WMS), ASCTrac® WMS to manage remote devices. 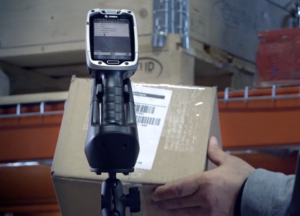 Designed for large-scale global deployments, every ASCTrac® Mobile device, thermal printer, and wireless access point can be tracked and supported seamlessly in a global enterprise. Administrators on the IT team can manage from a single console inside ASCTrac® WMS for all supported devices across the global enterprise. Mobil devices can be managed by country, region, site, language and more. Typical points of support are usage metrics by site, asset information, and repair information for each of the devices. Imagine sitting at your desk and supporting, controlling, and updating all of your remote mobile devices globally! All done wirelessly within the ASCTrac® application no matter the continent, language, or OS! ASCTrac® WMS Mobile Device Manager supports global deployments. Every mobile device, printer, and wireless access point can be tracked and supported. Support by country, by region, by site, by language and more. Usage metrics can be tracked per group, by site, or other search criteria. Repair and asset information is instantly reportable for any device. Monitor where units are operational and control updates by region or site. Supports multiple mobile operating systems.